We would like to invite all of you to come and celebrate the 2017 MOON FESTIVAL together on October 7, Saturday at 5:30-8:00PM. 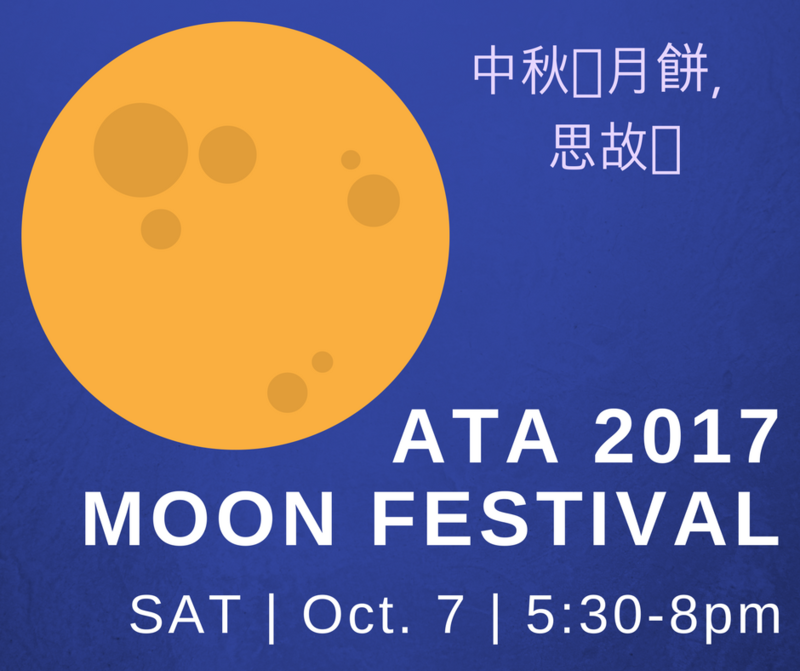 ATA will provide moon cakes, snacks, fruits, drinks …etc. Don’t miss this opportunity for the delicious foods and the time with your family & friends. Please come and enjoy the wonderful time with us.